After student activists and local media teed off on a conservative political commentator invited to participate in a panel discussion on fake news, Cal Poly’s College Democrats announced they are pulling out of the event. A couple of the panelists now appear to be backing out as well. On Feb. 13, Cal Poly is scheduled to host an event called “Fake News Panel: What is it and who decides?” Initially, the panel discussion was co-sponsored by the Cal Poly Dean of Students, ASI Student Government, the League of Women Voters and the College Republicans and College Democrats. 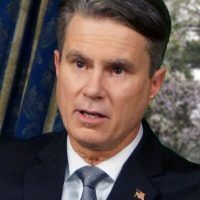 Both articles cited a video published on YouTube in which Whittle was interviewed by conservative-libertarian online radio host Stefan Molyneux. Throughout the interview Molyneux discussed alleged IQ differences among different racial and ethnic groups, which he said correlated to wealth gaps. However, the College Democrats accused Whittle of racism and Islamophobia and said in a statement that is why they are dropping their sponsorship of the Cal Poly panel. “This action is in response to the College Republicans invitation of a panelist who routinely publishes racist and Islamophobic commentary, the College Democrats wrote. “We condemn these statements as false and hateful and stand in solidarity with the individuals and communities they affect. “We were told this panel was an opportunity for dialogue during a divisive political period; however, it is clear that won’t be the case. We entered into a good faith agreement with the stakeholders involved and are disappointed that agreement was not honored. Our choice to withdraw is motivated by conversations we have had with student leaders from affected communities over the past few days. The College Democrats had selected Cory Black, a prominent political consultant in SLO County, to participate in the fake news panel. Black has stirred controversially locally on several occasions, including by working for and contributing money to local politicians who have, in turn, advocated for marijuana regulations that benefit Black’s clients in the pot industry. Black has withdrawn from the panel, according to the Tribune. Another panelist, BBC News producer Sue Mitchell, has also reportedly withdrawn. Mitchel was selected to participate in the panel by the Cal Poly journalism department, which released a statement saying it is continuing to sponsor the event out of support for the First Amendment. The journalism department’s statement said to check the Mustang News for more information, and it linked to the article labeling Whittle a racist. Other remaining panelists include Alicia Shepard, a longtime journalist and Bob Woodward and Carl Bernstein biographer, and Chip Visci, a former Tribune publisher and communications director at Cal Poly. The journalism department invited Shepard, while ASI sponsored Visci. 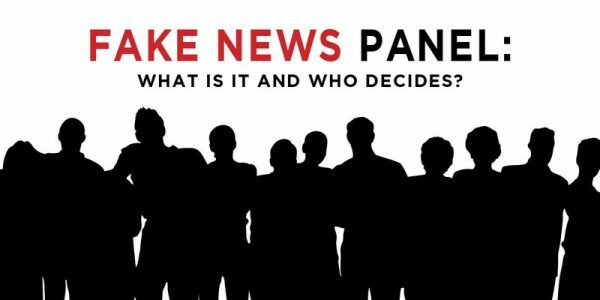 The fake news panel is scheduled for Feb. 13 at 7 p.m. in the Chumash Auditorium. Whatever happened to free speech? I would think college would be a great place to hear views from all sides of every issue. Pity. NEWSFLASH!!! THIS JUST IN, BILL WHITTLE IS A RACIST! To all Conservatives, DO NOT open the link below because it will make your perceived and ignorant notion that ol’ Bill is not a racist, where in fact, he is a racist. Conservatives, you must keep your blinders on at all costs so as to be kept in the fold with your like-minded Republicans that deny actual facts. It is part of the GOP party to do so. Warning heavy snowflake storm brewing at Cal Poly! Hopefully the Conservatives will loan their shovels out to the snowflakes if the storm gets really bad, those same shovels they use to try and dig themselves out of embarrassing predicaments when proven wrong here on Cal Coast News! Common knowledge now that ONLY those applicants who are thoroughly indoctrinated in the globalist Party Line will be hired in education…or the media. Lock-step responses required from students; better yet, no response, and even better: antifa-style violence.